It's the combination of two factors that makes this single so thrilling for me; George Martin's arrangement and Cilla Black's performance. Martin's productions for the Beatles are forever and rightly lauded, of course: the great enabler, tactfully and modestly allowing the visionary music of the young mens' imaginations to be brought to life. But this thoughtful sense of how to make records emotive and artful worked in other places, too - most remarkably in The Goons' crazed hits of the 1950s, but also for more conventional pieces such as 'You're My World'. When we praise Cilla Black's music of the 1960s, we tend to talk about her breathier and more vulnerable moments - Step Inside Love, Surround Yourself With Sorrow - these are tremendous singles, but skirt around from acknowledging that her most celebrated ability was to absolutely belt out songs, and not even in a controlled and phrased Shirley Bassey manner either, but with the overflowing emotion of a very young woman very eager to impress and to please. This vocal approach certainly provokes a fingernails-squeaking-the-blackboard aversion on the part of many listeners, and how I respond to it or not is very much dependent upon which song she's attacking. 'You're My World' is perhaps the ideal vehicle for a full-blooded Black performance. It has to be said that it is a pretty formulaic song - the premise of "I can't live without your love" swiftly established and then amplified to greater and greater levels of dependence over three minutes. 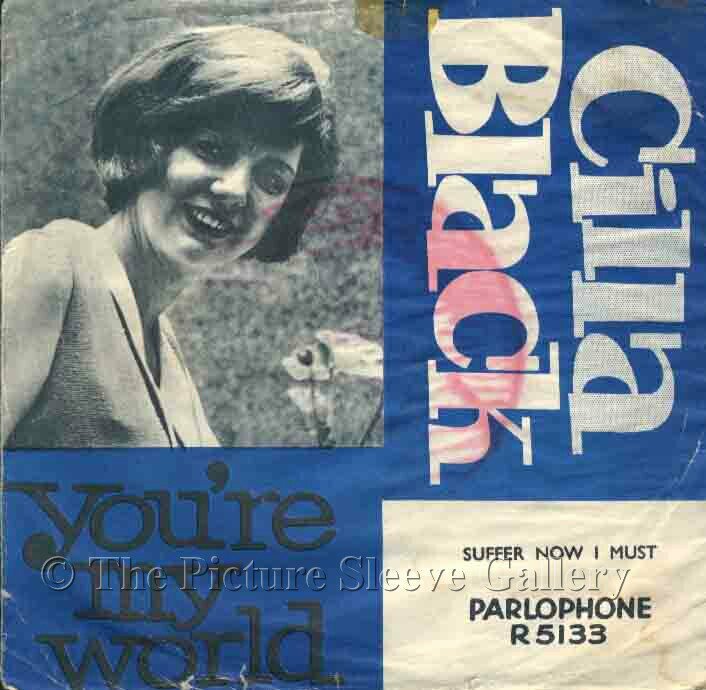 This sense of formula is accentuated by the fact that 'You're My World' is a song in translation, starting life as 'Il Mio Mondo', a recent Italian hit for Umberto Bindi snapped up by Brian Epstein as a likely smash hit instant follow up to her chart-topping 'Anyone Who Had A Heart'.